John was born in 1947 into a farming family near Salisbury, UK. He gained an Honours degree in Agriculture at Reading University and in 1969 emigrated to New Zealand, where he met his New Zealand wife, Bron, from Hawera, Taranaki. After three years they returned to England to run the family farm. They became Christians in 1979, attending a local church. John was baptised in the Holy Spirit in 1984 in the big tent of German evangelist, Reinhard Bonnke in Soweto, South Africa. They began home groups and Bible weekends. Six years later they sold to farm to move into full-time ministry. They worked as international campaign directors for Bonnke’s team Christ for all Nations (CfaN) for seven years, organising gospel events around the world. After they left CfaN, they led their local church, coordinated the local pastors’ network, and founded a charity supporting orphans in India. Bron led the worship in regular gospel meetings, and many were healed. They began JF Ministries in 1999. John began Schools of Healing, to encourage the ‘ordinary’ believer to pray for the sick. Over 30,000 have been trained in these schools around the world, and thousands more healed including some wonderful miracles under the hands of complete beginners! In 2005, John & Bron moved to Auckland, New Zealand and now worship at LIFE. In 2006 they spent 6 months in Rwanda assisting Hope:Rwanda, now Hope:Global. John first visited Nepal in 2007, and has returned there twice a year since then. 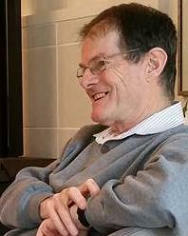 John has written and published many books and booklets, and edited several other successful books, magazines and newsletters. He is currently working on two new books. John has preached in gospel campaigns all over the world, during which tens of thousands have been saved. John has also lectured at several Bible Colleges in Auckland. He still travels extensively teaching on healing and evangelism, with their current focus on Nepal. John & Bron have no children. They live outside Auckland, and enjoy gardening, reading, and wildlife.